When advanced features of full LMD DesignPack package are not required and editing published properties of any Delphi object is your goal: LMD InspectorPack is the correct package for you! 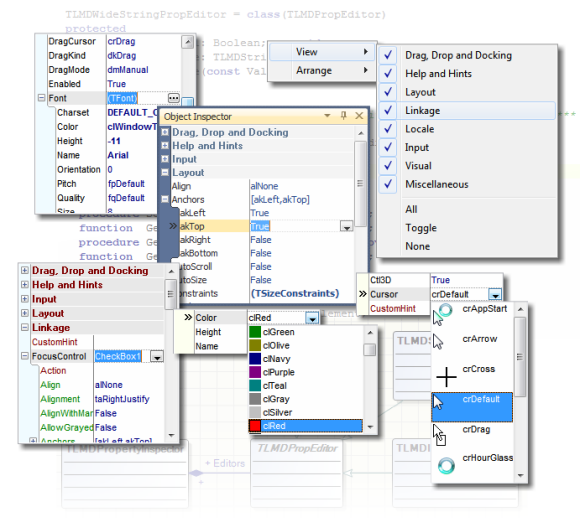 Build in all features known from Object Inspector of your Delphi IDE in your own applications! All features of the inspector control in LMD DesignPack (different visual styles, support for property translations, registering of custom properties, designtime editors and types) are available.